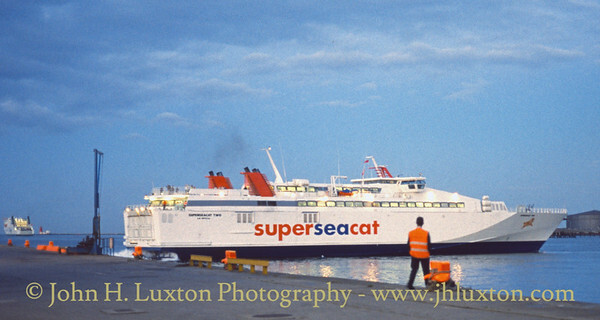 1998 saw the launch of the Liverpool to Dublin service and the introduction of the SuperSeaCat MDV1200 vessels to the Irish Sea routes. 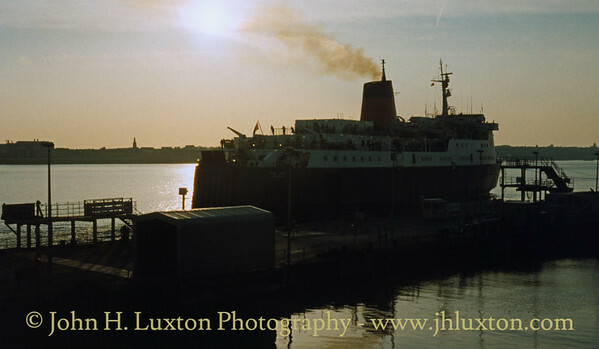 Evening view of KING ORRY at Liverpool Landing Stage in May 1998 with Sea Containers blue hull. 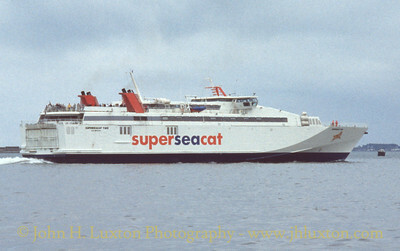 SUPERSEACAT TWO departing heading out to sea, bound for Liverpool, on May 25, 1998 photographed from the South Wall at Dublin. 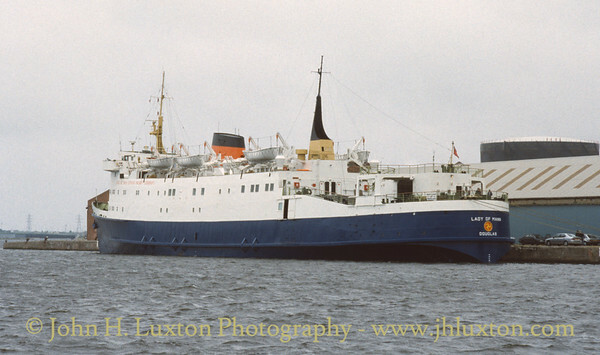 LADY OF MANN resplendant in her first version of the Sea Containers livery sporting a buff funnel prior to entering service for the season in the West Float, Birkenhead Docks. 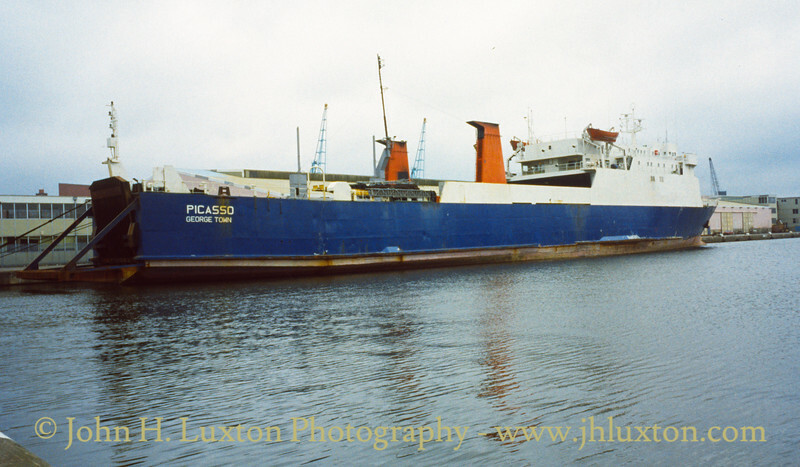 Sea Containers ro-ro freighter laid up at Vittoria Dock, Birkenhead on May 16, 1998. 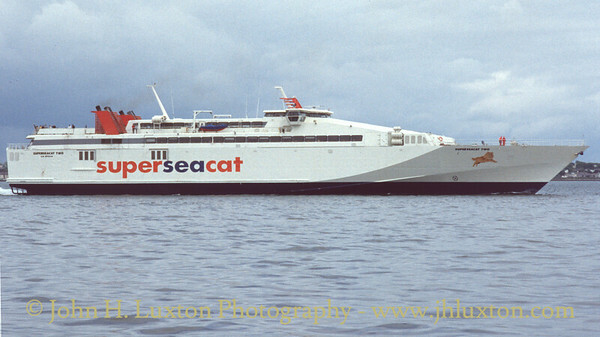 She had previously been operated on the Hoverspeed freigh service across the English Channel. 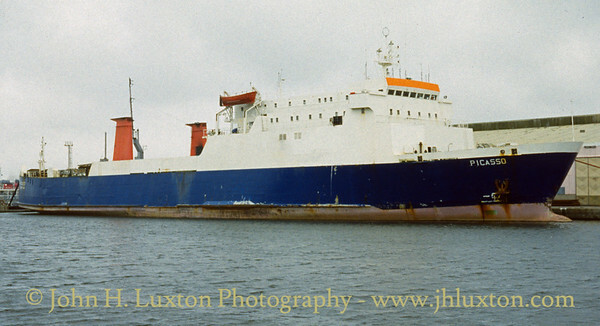 SUPERSEACAT TWO approaching berth 49 at Dublin Port on July 27, 1998 on her afternoon sailing from Liverpool. 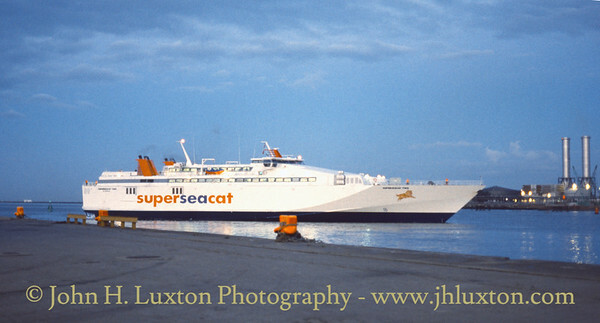 In the early days of the Liverpool to Dublin SuperSeaCat service two round trips per day were operated well supported by duty free shoppers. Unfortunately, the end of duty free within the EU and competition from the "fly boy" budget airlines saw the sailings curtained to one round trip per day. However, it was good while it lasted! 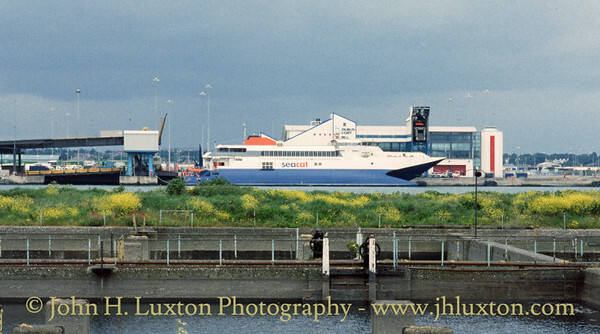 SUPERSEACAT TWO approaching berth 49 at Dublin Port on July 27, 1998 on her afternoon sailing from Liverpool. 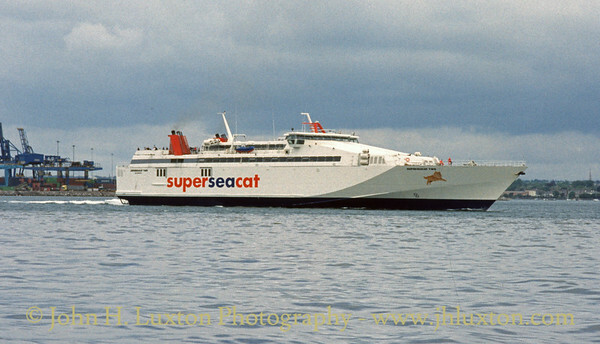 In the early days of the Liverpool to Dublin SuperSeaCat service two round trips per day were operated well supported by duty free shoppers. Unfortunately, the end of duty free within the EU and competition from the "fly boy" budget airlines saw the sailings curtailed to one round trip per day. However, it was good while it lasted! 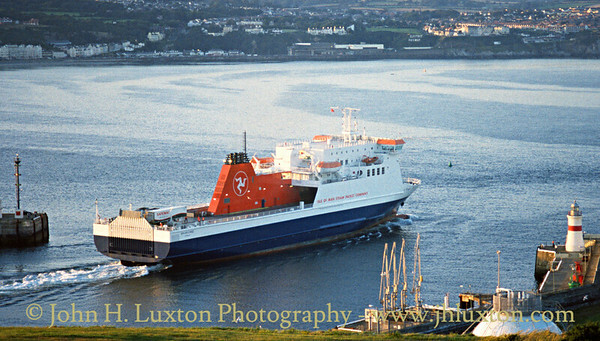 The then new BEN MY CHREE sits at the Edward Pier Linkspan operating the freight service to Heysham whilst KING ORRY operated the passenger service. 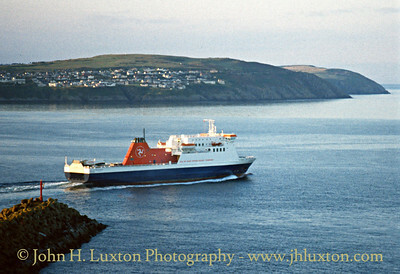 though additional accommodation has spoilt her original lines. 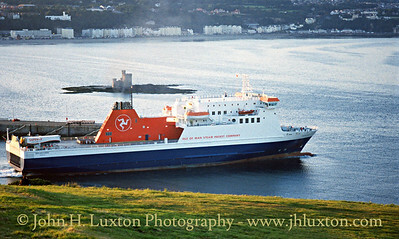 The change over from KING ORRY to BEN MY CHREE was traumatic for some passengers as she was rather different in concept, layout and seating capacity. However she has proved to be a fine workhorse despite the initial grumbles. 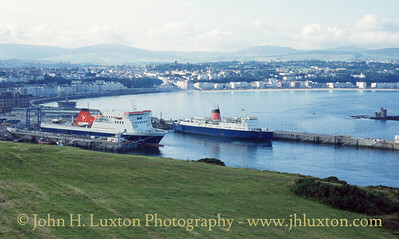 Enthusiasts photograph the KING ORRY departing from Douglas Harbour on her evening sailing to Heysham August 01, 1998. 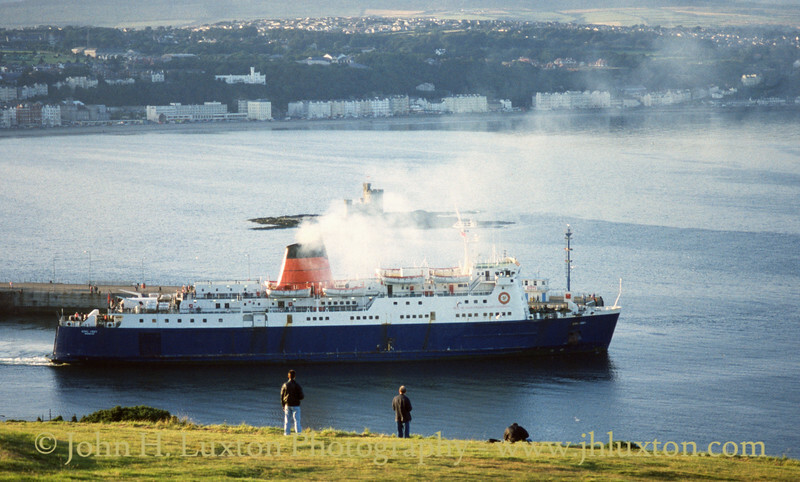 The end of the KING is only a couple of months away, enthusiasts watch as she departs Douglas harbour, bound for Heysham on one of her last evening sailings before the BEN MY CHREE takes over the full passenger and freight service. August 1998. 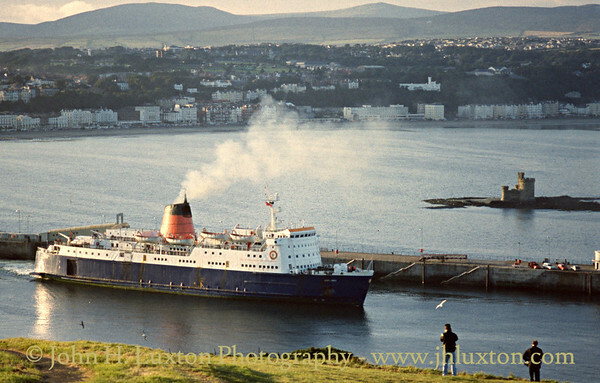 KING ORRY heads off to Heysham on one of her last evening sailings - August 1998. 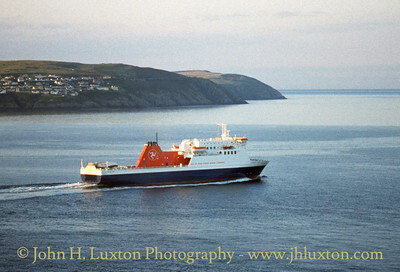 BEN MY CHREE departing Douglas on the evening freight sailing to Heysham on August 01, 1998. 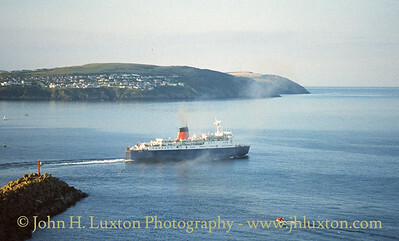 Passengers had departed a few minutes earlier on board KING ORRY. 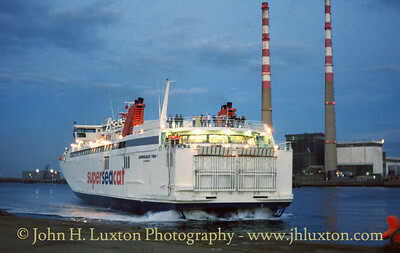 SUPERSEACAT TWO departing Dublin for Douglas - June 05, 1998 at the end of the TT Festival. 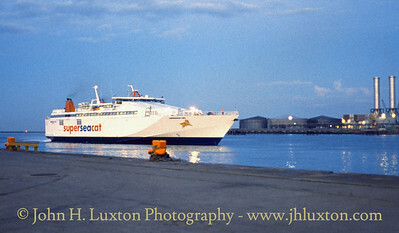 SEACAT DANMARK at berth 49 Dublin Port on May 25, 1998 awaiting to depart with a sailing to Douglas. 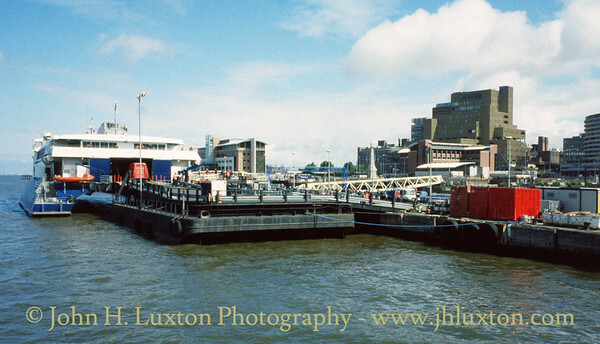 SEACAT DANMARK arriving at Liverpool Landing Stage from Douglas on June 07, 1998. 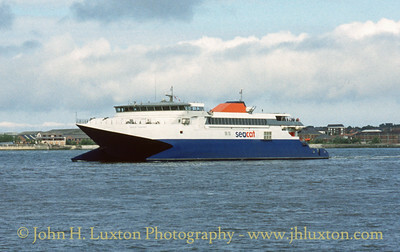 SEACAT DANMARK at Liverpool Landing Stage from Douglas on June 07, 1998.